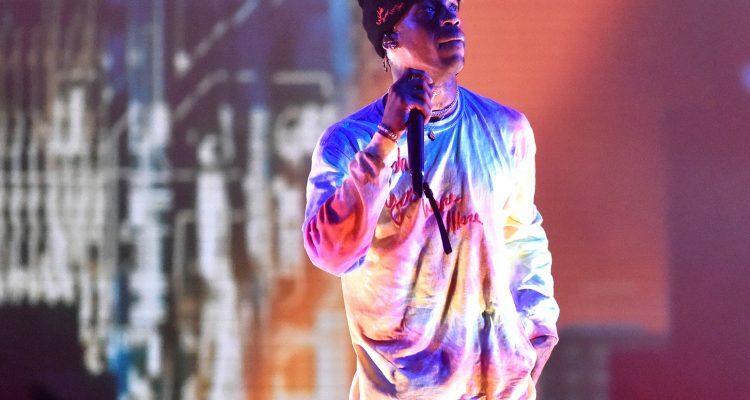 In September, Travis Scott offered to design senior class shirts for Eisenhower High School in Houston after they asked him for permission to use some Astroworld-themed logos on their spirit wear. This week, the “Sicko Mode” rapper honored his promise by posting photos of the newly crafted garments to his Instagram story. “4 the youth dem,” he captioned the exciting post which featured beige shirts that read “Wish You Were Here” across the front along with Scott’s signature globe featuring a smiley face. “Eisenhower” is also printed in colorful font, much like Scott’s official tour hoodies. In much smaller handwritten print, the 26-year-old signed each with, “Sincerely, Travis Scott”. In addition to giving back to his fans, Scott recently announced the second leg of his current trek: the Astroworld: Wish You Were Here tour. The 28-show journey, presented by Apple Music, kicks off on January 25th in Vancouver, and stretches through March 24th in Charlotte, North Carolina. Tickets are on sale today here.